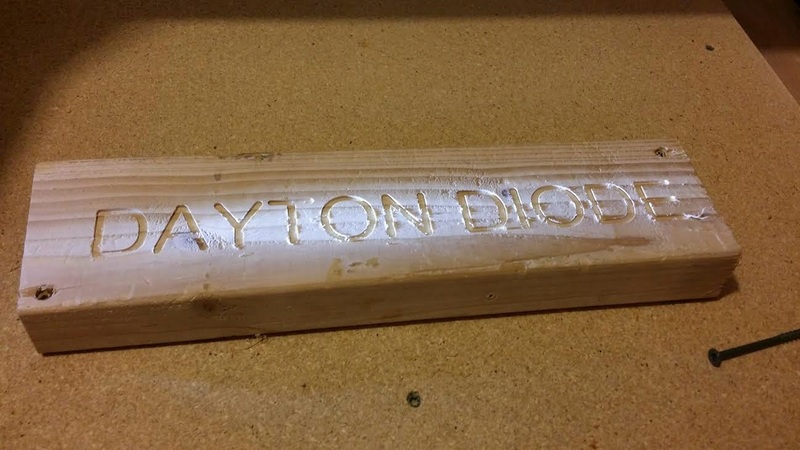 Dayton Diode: The CNC Router is running. The CNC Router is running. The CNC Router is up and running. There are still quite a few things to add such as home and limit switches, E-STOP, and getting it on the network. Shortly, we will be organizing classes to people wishing to get a crash course on the machine layout, Tooling, XYZ coordinates, and an overview of the LinuxCNC software. Afterwards, we can try and schedule a date for classes on CAM software to learn to convert your drawings into machine language to cut some parts. Crash course sounds about rite without limit switches.